did I spend and hour on this? Yes. Yes I did. Super neat (and frustrating) game! wenn i press enter the snake die! Yeah, if you press any of the buttons other than the movement controls, it'll count as having "hit" the square you're already on. Woooow, did you use a lot of exit for each position that the player can possibly be at? Nah, this is hacked, haha. 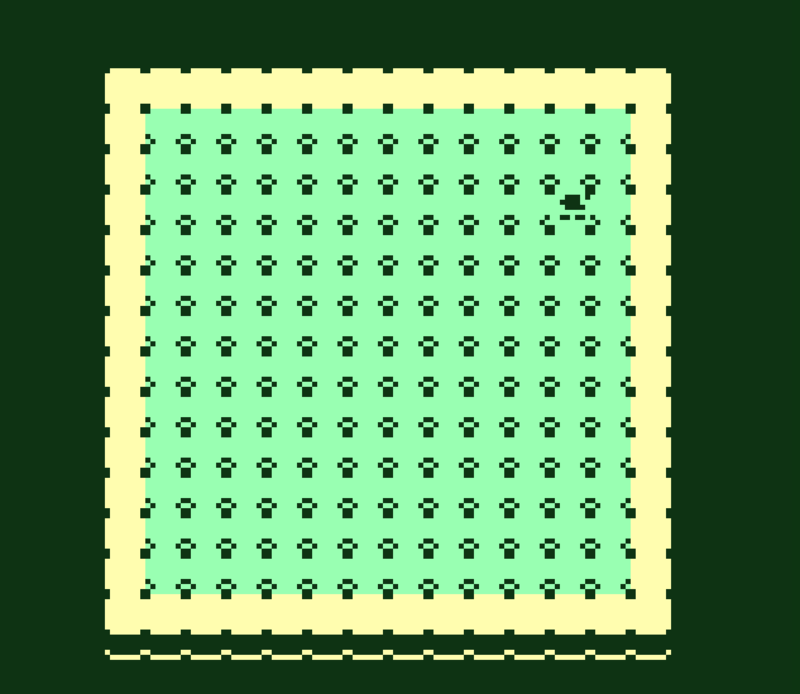 I'm sure it's possible to do something like this in vanilla bitsy, but I can't imagine how long it would take. The snake has the best munching face. This is really impressive! It must have taken quite a bit of hacking. You'd be surprised! 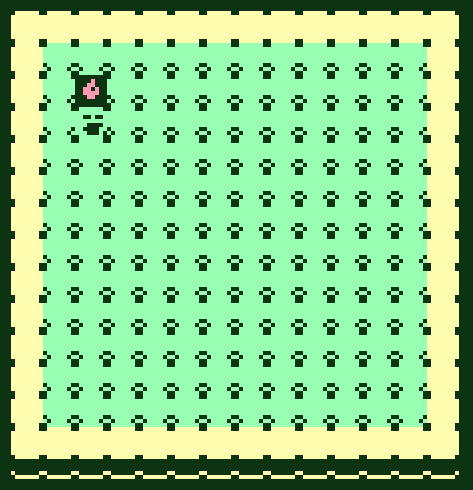 It's using a few of the ones from the hack repo, but the custom code for the snake/fruit is <100 lines. the highest i got was eating 50 fruit.. this is pretty fun! 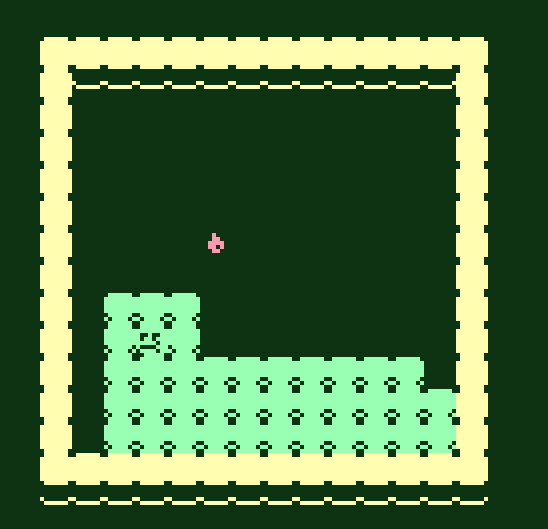 i like that unlike regular snake game the snake doesn't just run by itself (for obvious reasons) so it makes it pretty fun while not being so tricky except for when u start getting so long.. i think the biggest hurdles is just.. breaking the snake's jaw on the rock ouch! i kept being foiled by that!